Previews the next-gen Lexus LS. Following its world premiere at the 2015 Tokyo Motor Show the Lexus LF-FC concept, has made its European premiere at the at the 2016 Geneva Motor Show. 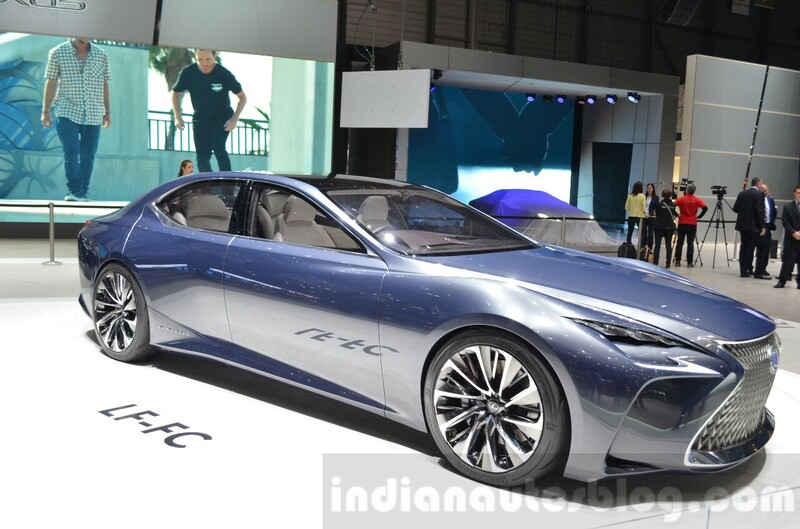 The LF-FC concept is a hydrogen fuel-cell car that showcases the latest development of the Japanese luxury automaker's "L-finesse" design philosophy. That said, the four-door grand touring concept isn't a design exercise. Lexus says it "offers a peek into the design and technology direction of the brand's future flagship sedan." 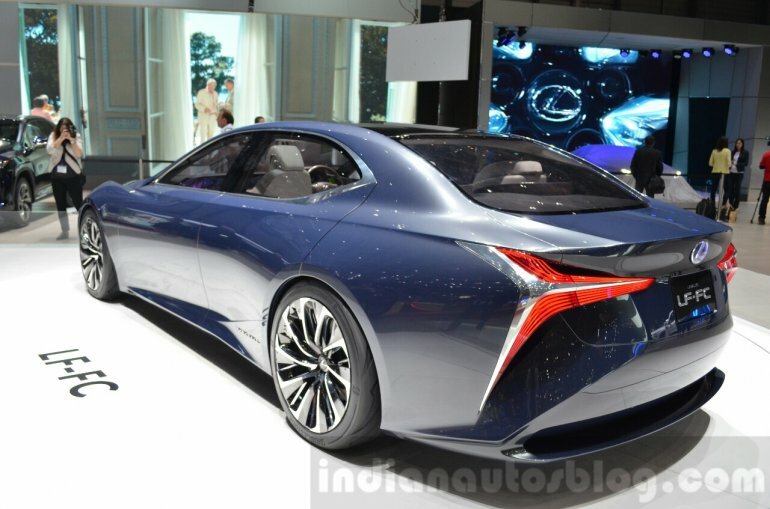 The company's statement reveals two things; first, the Lexus LF-LC concept previews the fifth generation Lexus LS sedan and second, the next-gen Lexus LS will likely have a hydrogen fuel-cell variant. The Lexus LF-FC concept measures 5,300 mm in length, 2,000 mm in width and 1,410 mm in height. Styling highlights include floating "L-shaped" daytime running lights, new signature spindle grille and 21-inch aluminium wheels with carbon-fibre reinforced plastic (CFRP) rims. Inside, the ventilation and audio system can be controlled simply by hand gestures. A small holographic image on the centre console indicates where the system can interpret the gestures. The Lexus LF-FC concept features a fuel cell power output system that directs power to the rear wheels and also sends power to two in-wheel motors in the front, making the car an all-wheel drive vehicle. For optimum weight distribution, the fuel-cell stack and power control unit are placed at the front, while the hydrogen fuel tanks are arranged in a T-shape.